South West Tourist Services (SWTS) is owned and operated by Brian Rettinger (ABN86760258856) who has 15 years experience of living and visiting tourist destinations in and around Perth and throughout the entire South West and Great Southern Regions of Western Australia. 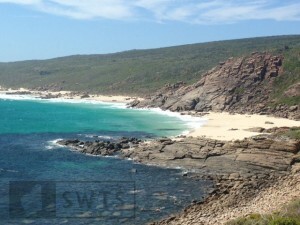 SWTS is based in Bunbury, and located nearby to Busselton, which geographically positions our business to make comfortable one day wine and scenic tours to many tourist destinations within the South West, or from the Bunbury/Busselton areas north to Mandurah, Rockingham, Perth & Fremantle, and to the Swan Valley. By adding an overnight stay at an accommodation of your choice, it’s possible to travel from the Bunbury Geographe region up to Perth, or all the way down to Albany & Denmark, or anywhere else in Australia’s South West. Your group will be transported to your tour destination in a clean comfortable air conditioned passenger van, where close interaction with the tour operator is encouraged, and we promise you won’t feel like a bus passenger! All our tours are friendly, personalised and flexible. For instance, if you opt for one of our Packaged Tours, we’ll follow the agreed itinerary or else we’ll adjust the tour stops, by mutual agreement, to suit your needs. If you have particular tour stops, transport requests or family needs we’ll personalise your tour before the tour begins. And, if you are staying or reside within a 15 km radius of Bunbury, Dardanup or Busselton, for a full day tour we’ll pick you up and drop you off at your accommodation or home at no additional charge. See what we mean about being flexible! In all cases, SWTS offers your tour group the best personalised & affordable tour services plus highly experienced travel advice for planning your tour in WA.